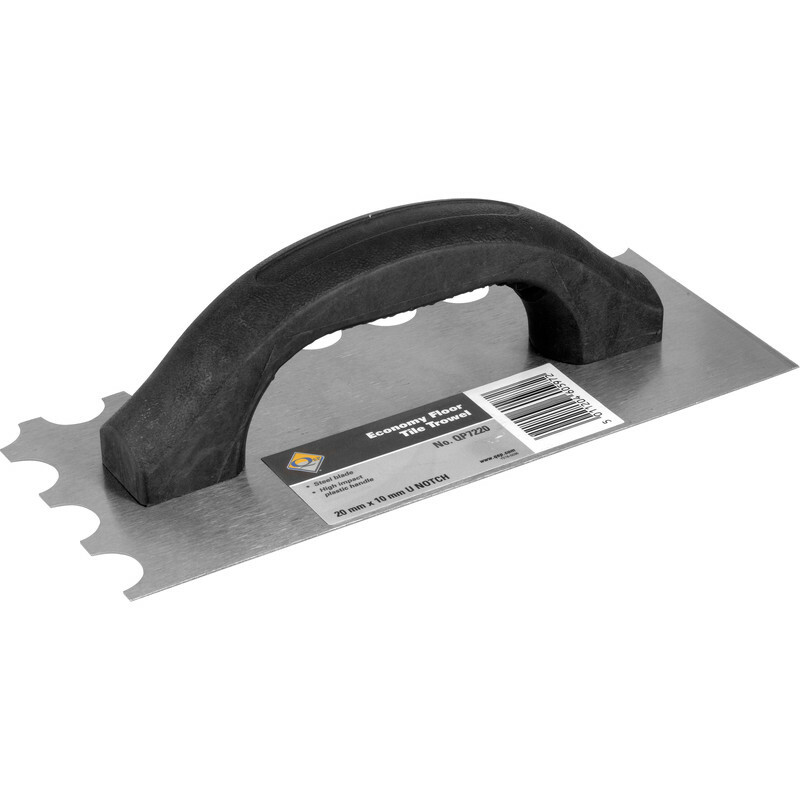 Hard cold-rolled steel blade with high impact plastic handle. 230 x 100mm. Vitrex Notched Adhesive Trowel Floor 10mm is rated 4.5 out of 5 by 6. Rated 5 out of 5 by DIY Chancer from Low Price, Good Quality Got this for a quick job at home and no complaints from me, perfect tool, did the job! Rated 5 out of 5 by PapaSkizz from Spot on Did the job at a great price too! Rated 5 out of 5 by Jonesy75 from Adhesive trowel Bought this last week. Didn't need to spend loads on a expensive one. This did the job perfectly and at a very reasonable price too. Rated 4 out of 5 by Teldial from Just The Job. 10mm bought for floor tile adhesive, prefer these with two straight edges handy for pre-spreading then switch to tooted side to finish prepping adhesive for tiles, great.